This song is one of the master pieces by Rookantha.Original guitar solo is played by Mahinda Bandara. You will need a guitar with 24 frets to play this solo.If you omit the highest note you can play it on a 22 fretted guitar . 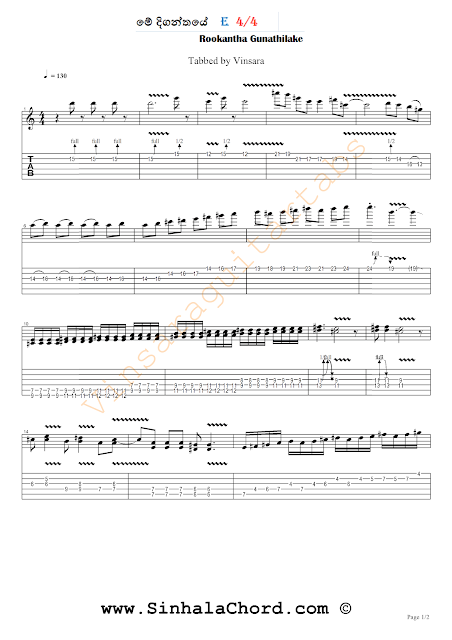 Guitar pro is an amazing software.I created this tab with the guitar pro software.It sounds so natural with the RSE ( realistic audio playback ).You can learn this song note by note from this guitar pro tab.I spent a lot of time to tab each note with great details.I also tabbed the percussion and bass guitar in separate tracks.If you have guitar pro software,play the guitar pro file with RSE enabled. 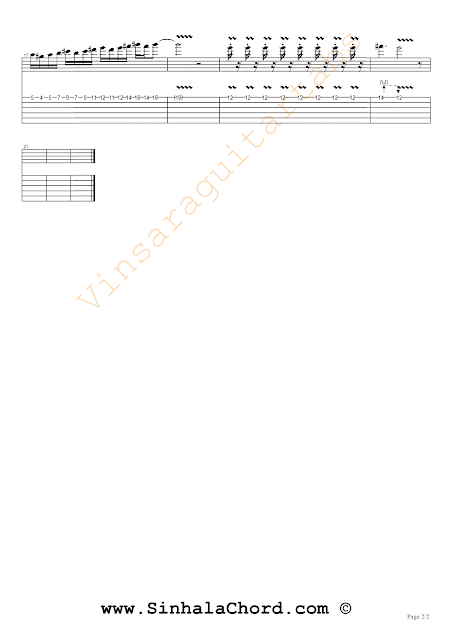 Guitar tablature (Tab) is a system of notation that graphically represents strings and frets of the guitar fretboard. Each note is indicated by placing a number which indicates the fret to play, on the appropriate string.if you don't know how to read guitar tabs please read this article..